Our Wind Mitigation Inspection determines if your home is ready for hurricane force wind. The bad news: Hurricane “season” increasingly isn’t a season – June 1 to November 30 is half of the year. 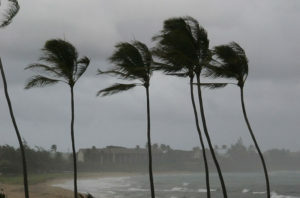 Hurricanes deliver wind speeds of up to 160 MPH and dump 2.4 trillion gallons of rain water every day. And Florida is a prime target – 40%+ of hurricanes attack the state. The good news: Our Wind Mitigation Inspection can help you to receive up to 40% discounts on insurance. Our Wind Mitigation Inspection evaluates a structure’s construction ability to withstand high winds as well as the construction features which have been shown to reduce losses in hurricanes. We consider hip roof, concrete block construction, gable end bracing, shutters and opening protections, roof to wall attachments, and secondary water resistance barriers.